Discover a side of Cairo only locals usually see on this private door-to-door tour of downtown, with a guide to ensure a hassle-free experience. 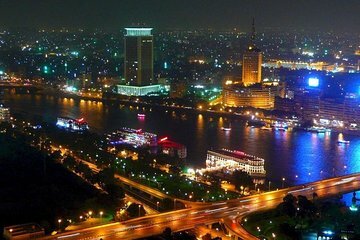 See the bustle and life of Tahrir Square; stroll along the Nile; make like a local as you snack on a falafel sandwich and ice cream; and experience the city’s shops. Your guide will be happy to arrange a felucca ride for an additional charge.